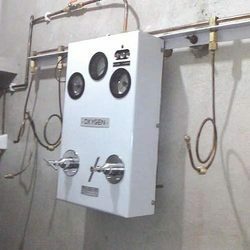 This Gas Manifold System is used in various industries such as steel, cement and sugar industry. Our organization is engaged in manufacturing and exporting these systems using premium quality materials that are tested for their efficiency and utility. These are available in various specifications and can be customized as per the requirements of the clients. These are accessed at reasonable prices in the industry. In order to cater diverse requirements of the clients, we offer varied range of Semi Automatic Control Panel that is acclaimed among the client for its optimum quality and high strength. Our entire product range is functionally advanced in nature and can be easily installed as per the requirements. They are abrasion resistant. Quality being the ultimate concern, we offer wide range of Fully Automatic Control Panel that is valued among the clients for smooth performance and wide industrial applications. These products are delivered in different technical grades and are performance based. Our entire product range is manufactured under the supervision of experienced professionals who have strong domain expertise. 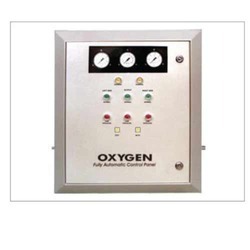 These Fully Automatic Medical Gas Control Panels offered by us are well known for their quality and durability. 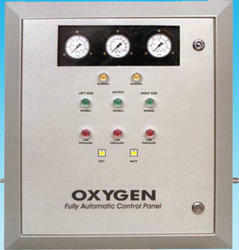 These Fully Automatic Medical Gas Control Panels are fabricated by using qualitative raw material. 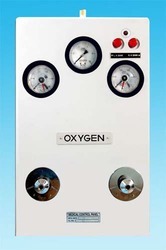 These Fully Automatic Medical Gas Control Panels are appreciated in the worldwide market. Copper pipe length as per requirement (Stander 1 meter). Inner View Control Panel are fabricated using the latest technology. These panels are widely used in the various industries for process control applications. They are easy to install, sturdy in construction and user friendly in nature. This control panel has simple structure and easy operation, saving time with less manpower. 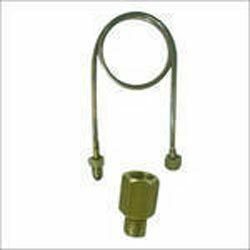 We supply this product according to the specifications of the clients. 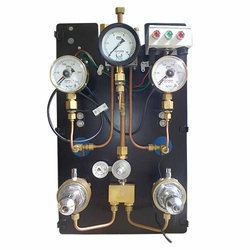 Looking for Gas Manifold with Control Panel ?